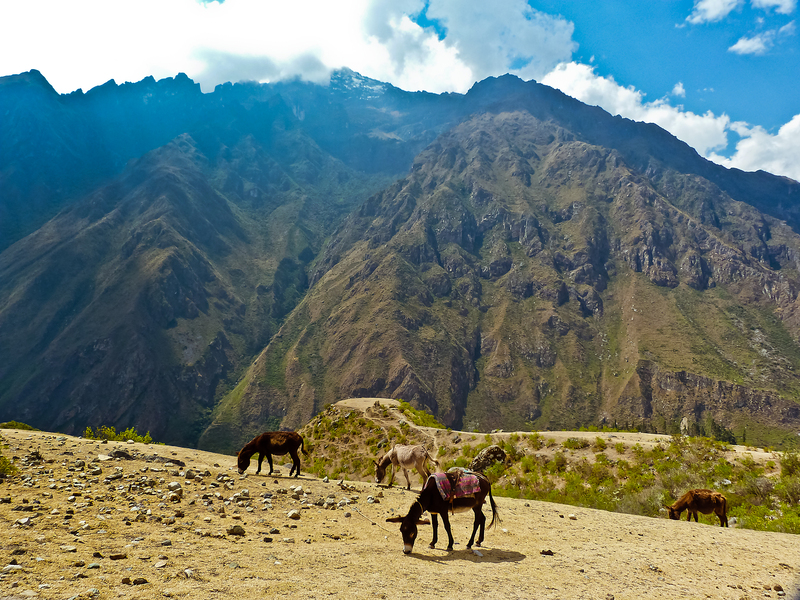 Here’s a photo of some donkeys grazing up high in the mountains, shot during the first day of my Inca Trail hike. Every time I look back on these photos I’m thankful that I decided to do the hike–there’s so much beauty along the Inca Trail that I would have missed had I chosen to take the train straight to Machu Picchu. Beautiful photo, I’m visiting the Inca Trail in a couple of months and I can’t wait! Thank you! I’ll definitely check out your blog.